With Valentine’s Day just a few days away, I couldn’t pass up the opportunity to give you an all-access pass behind the curtain of a girl’s heart from the vantage point of a few courageous girls who shared their thoughts. Romance and royalty. I wonder what it is about these two concepts that strike a chord in most every girl regardless of her age, locale, ethnicity, or socioeconomic status. These themes are woven through the deepest places of her heart, tied together with a cord of vulnerability that is beautiful and fragile all at the same time. Perhaps some of the reason that we girls are drawn to romance and royalty is because we were created that way, at the place where we long to open our hearts and lives to both of these realities. We seem to have this intense, legitimate longing for the world to see that we’re valuable and amazing, and we think that if we are chosen by a guy or if we have an official title (“girlfriend,” “wife,” etc. ), then it announces to everyone that we are worthy and incredible. This innate desire to be chosen by the handsome prince is a theme that is usually awakened in childhood and then grows in intensity as we age. You see, somewhere along the line we have come to believe that if a guy picks us as his girlfriend, and later his wife, then we are the prize, his prize. Romance & royalty are woven thru the deepest places of your daughter’s heart. Question #1: What messages about being a girl, and being pretty or beautiful, have you gleaned from the movies you’ve watched? Question #2: Can you think of any way that your dad could make you feel more like royalty, like a princess? Question #3: If your dad was to fill up your love tank—making you feel loved and special and accepted and enjoyed—what could he do specifically to make you feel those things now? Initiate dates (one-on-one time with her). Protect and shield her heart (allow her to feel/talk while listening and supporting her). Affirm her beauty (compliments, validating her unique look and style). Regularly choose her over sports, work, hobbies, technology (a.k.a. distractions). Embrace her femininity (show and express your happiness in her as your daughter). Treat her with respect, chivalry, honor (be the man you want her to marry). Enjoy her (laugh with her, listen to her, celebrate her interests and giftings). Enter into adventures with her (join in mutual activities where bonding happens). Every day, let her know she’s beautiful, smart, and wonderful just the way she is. Valentine’s Day is still a few days away. That gives you just enough time to buy chocolates or flowers, a card or stuffed animal, a donut or cookie, all to let your daughter experience what it’s like to have her heart engaged while feeling like a princess by the best guy on the planet: YOU! Just Engage Your Daughter’s Heart with Romance and Royalty. Just Be DAD. 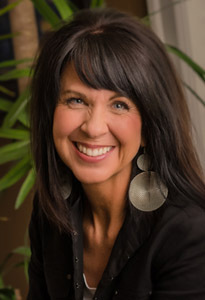 Dr. Michelle Watson has a clinical counseling practice in Portland, Oregon, and has served in that role for the past 17 years. She is founder of The Abba Project, a 9-month group forum that is designed to equip dads with daughters ages 13 to 30 to help them focus more intentionally on consistently pursuing their daughters’ hearts. Her first book is entitled, Dad, Here’s What I Really Need from You: A Guide for Connecting with Your Daughter’s Heart. She invites you to visit drmichellewatson.com for more information and to sign up for her weekly Dad-Daughter Friday blogs where she provides practical tools so that every dad in America can become the action hero he wants to be and his daughter needs him to be. You can also follow or send feedback on Facebook and Twitter.